I know it's a long title, but trust me these cookies will not last long in the biscuit tin. Buttery red velvet shortbread sandwiched with white chocolate buttercream and then coated in melted white and milk chocolate. I know it has a lot of chocolate in it, but what shows more sweetness and love than red velvet and chocolate? So if you havn't prepared anything for your valentine yet then now is the time to make these cookies, because trust me, they'll love them! I mean how can you resist that contrast between the vibrant red and luscious white. 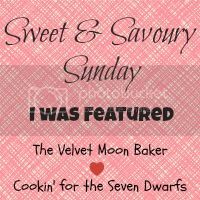 I was going to use a recipe that I found on google on red velvet shortbread, however after reading the reviews I wasn't quite happy with them so I decided to use a classic shortbread recipe and then add some red velvet twists to it. I wanted these cookies to be heart shaped, purely for valentines day, so I needed the dough to be perfect for rolling out, however I also wanted the cookie to have its red velvet elements, which meant the addition of buttermilk. Now I am no expert on red velvet cake but I do know that some of the main ingredients are buttermilk and a lot of red food colouring, which is one of the reasons I don't make it as much. The amount of food colouring required scares me, but hey it is for valentines day so I'll just control my fears and bake. Before I give you the recipe, theres just a few more things I need to mention, this is the first time I've made this and it was an experimental recipe that worked out fantastic with its first attempt (don't you just love it when that happens!) So I hope it works out fine with everyone else, however if you do find the dough is too soft then add a tablespoon at a time of flour till the dough is the right consistency. The dough should not be crumbly, it should be soft (like normal shortbread dough) but perfect for rolling out. Beat the butter and sugar till smooth, then add the buttermilk and mix. Pre-heat your oven to 180 degrees celcius and prepare a baking tray with grease proof paper. Grab a cookie and spread some buttercream on it, make sure you spread it right to the edges. Place another cookie on top and press down, it doesn't matter if the buttercream squeezes out as you can easily scrape off the excess buttercream around the edges of the sandwich cookie with small knife. Take the cookies out of the fridge and with a fork dip them into your chocolate, make sure the whole cookie is covered in chocolate. A little tip: it is better to first melt one of the chocolates to coat the cookies in before starting with the other, so I first melted my white chocolate and coated half of my cookies in that before melting my milk chocolate and coating the rest of them in that. They look delicious.. Definatly going to try it! Thanks Zarah, do let me know how it works out. How tasty! They look fantastic. What a perfect cookies for valentines day, Aishah. and they are eggless too. wow, definitely worth trying.